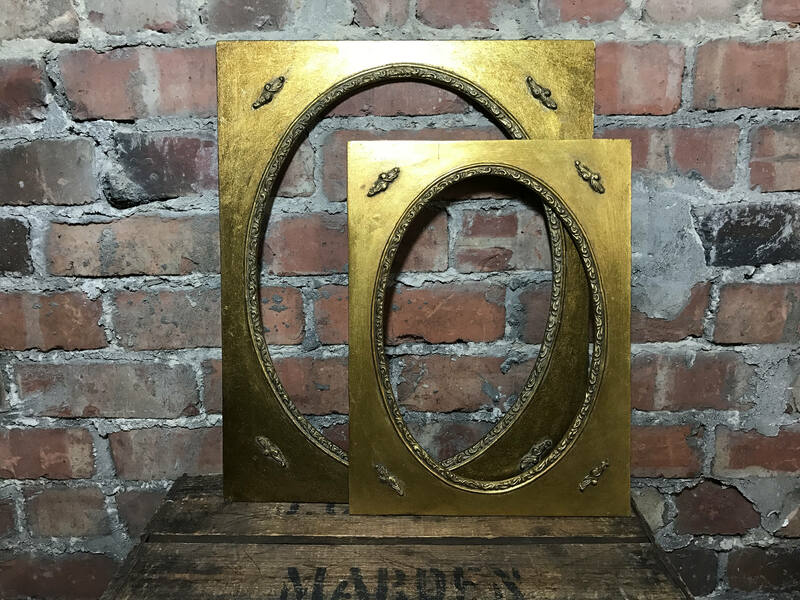 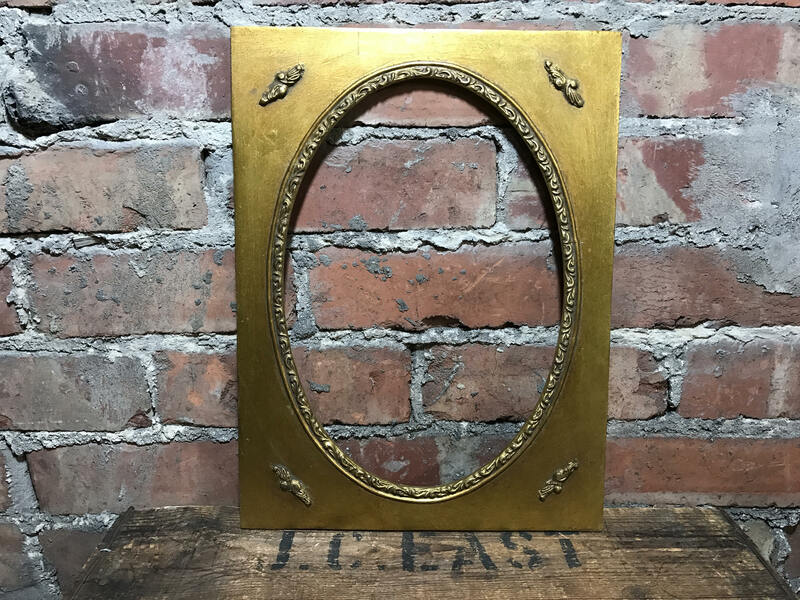 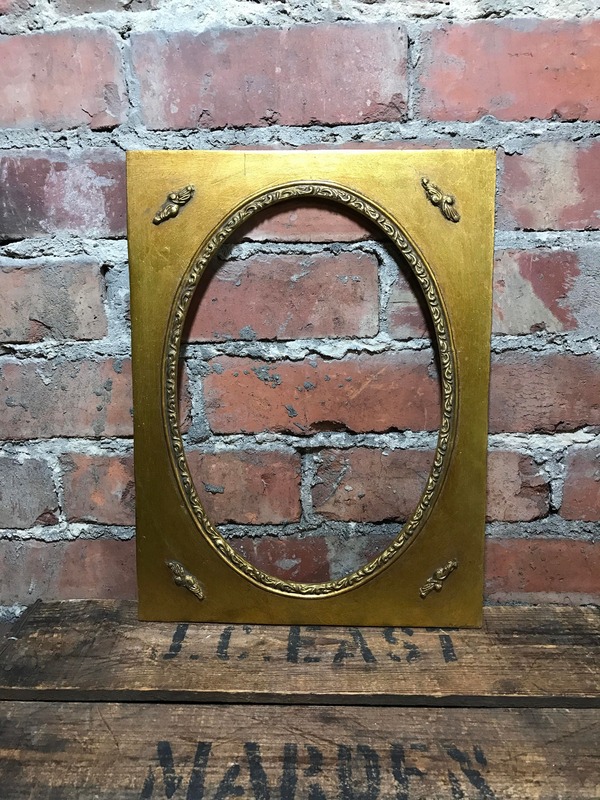 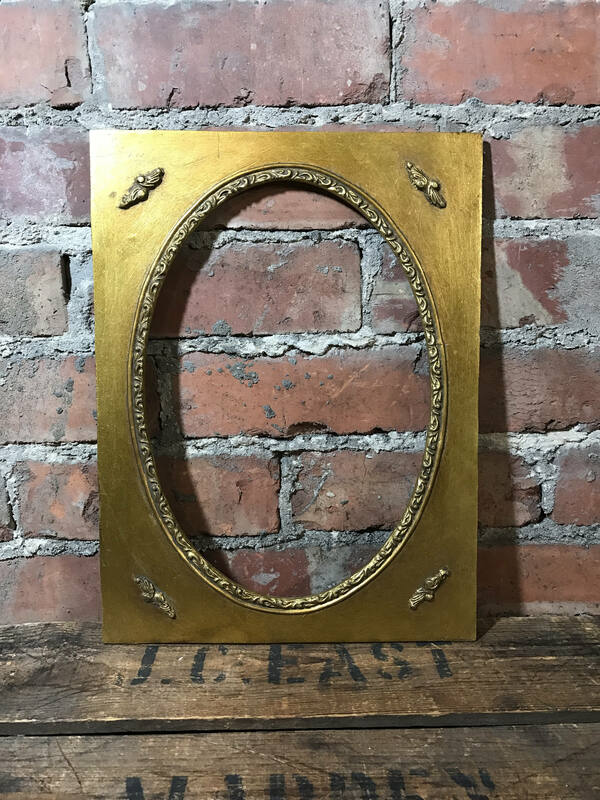 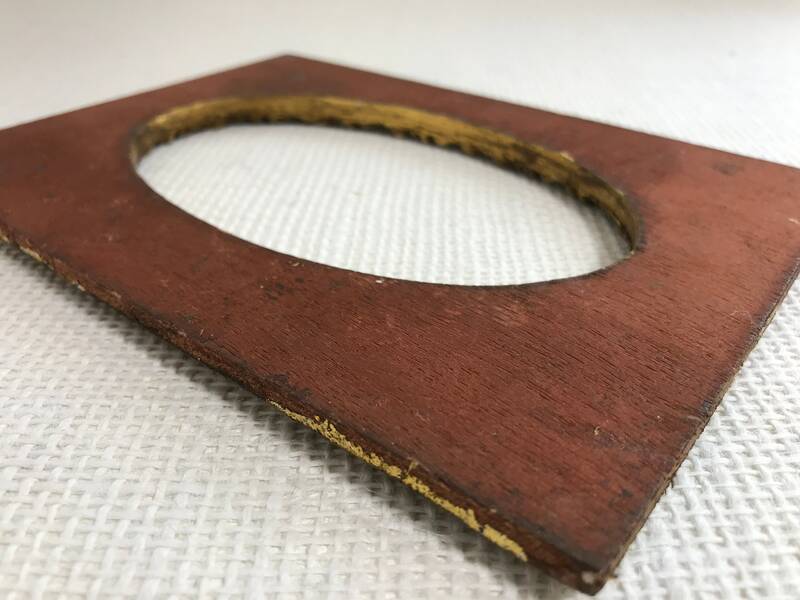 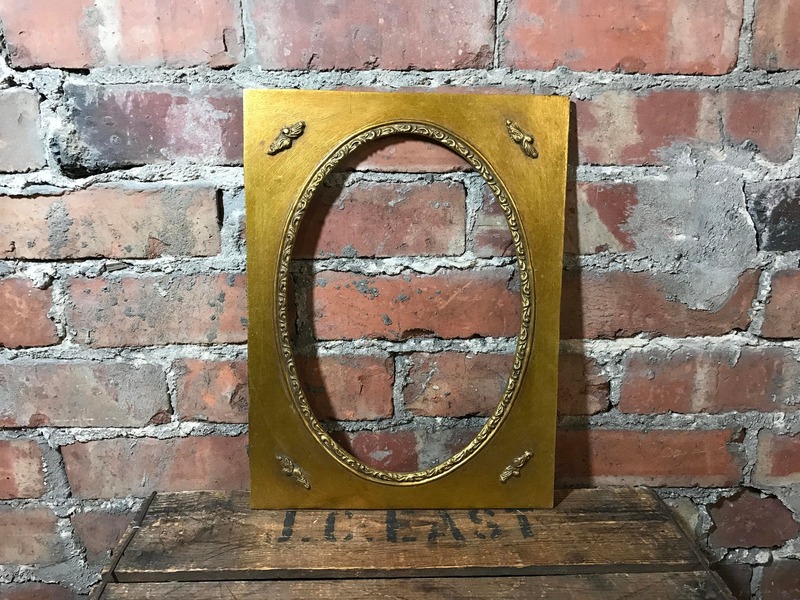 A vintage, antique gold style ornate wood mount for frames with a decorative oval shaped opening. 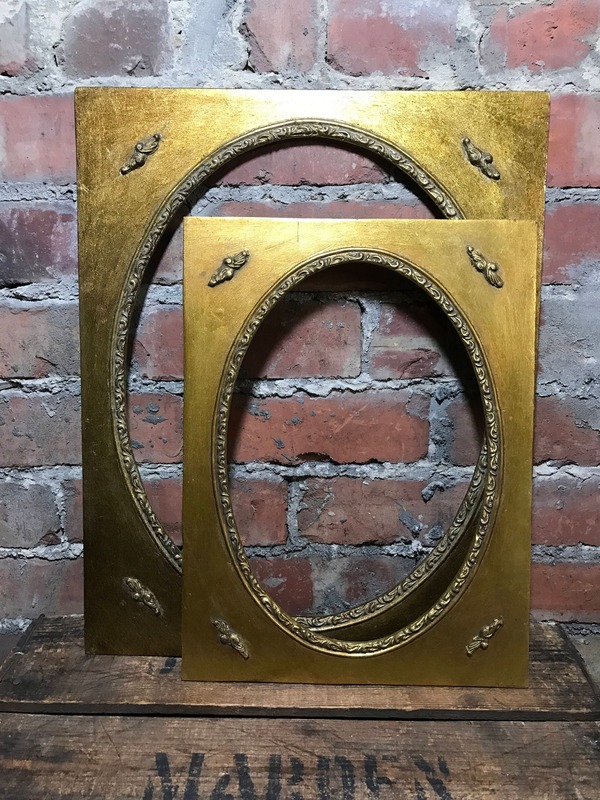 + Perfect for mounting portrait pictures, embroidery canvas or crafted artwork. 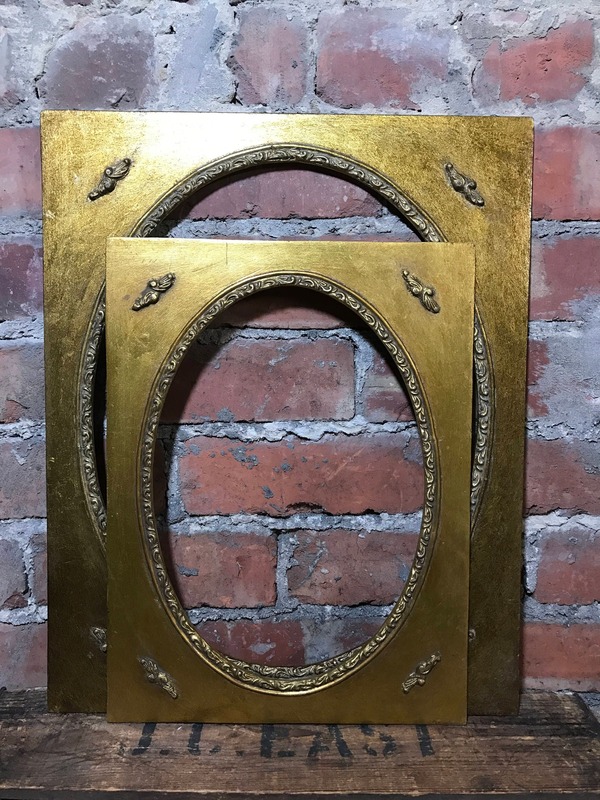 + These mounts can even be used decoratively on their own as a piece of unique decorative wall art. 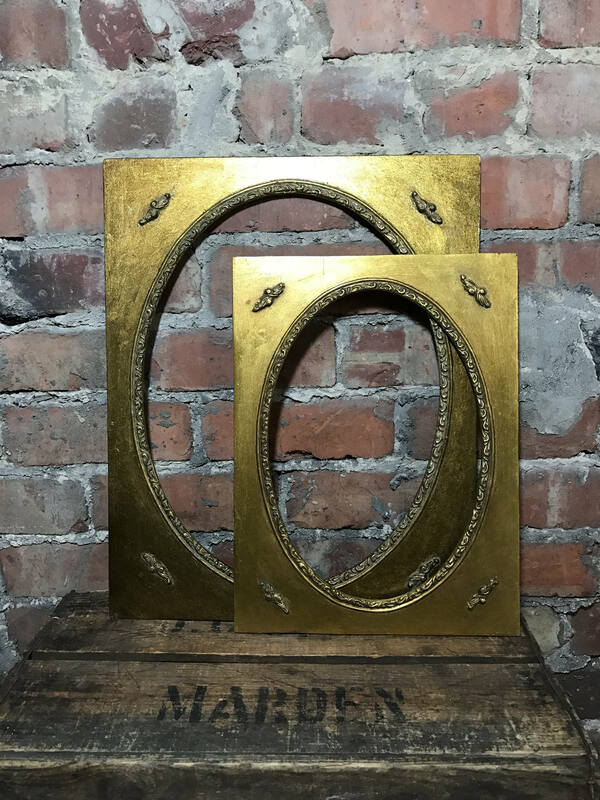 + These can be fitted inside a deep set frame. 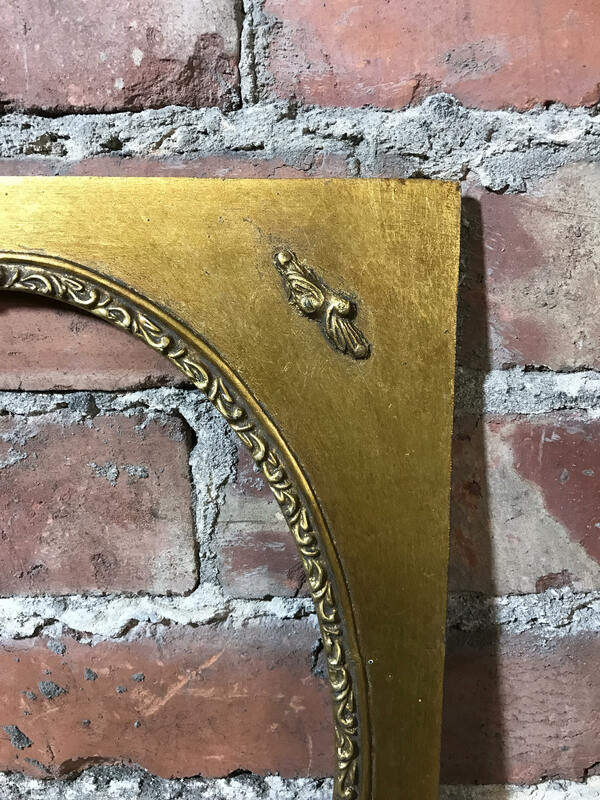 Place the mount into the frame before the glass.